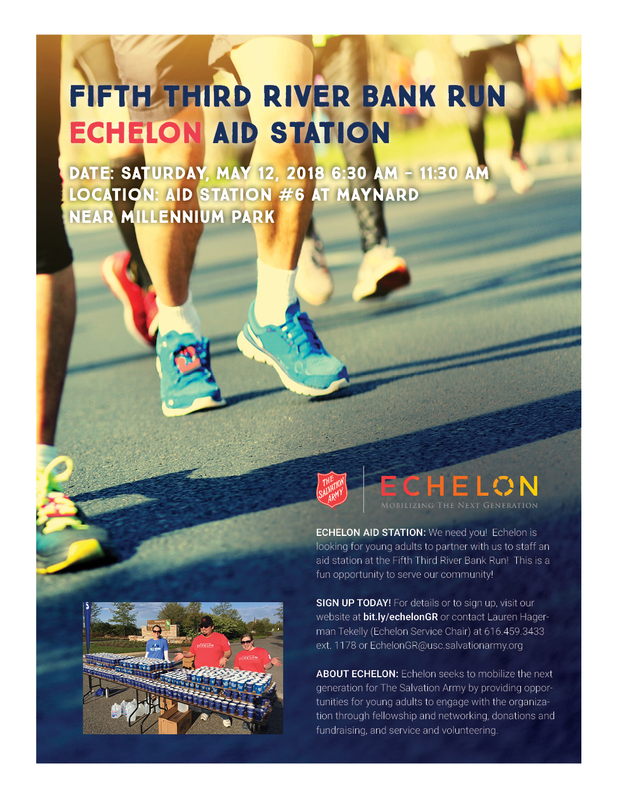 Volunteer with us at the River Bank Run! More than 18,000 people are expected to compete in this annual event, this May! This is a great opportunity to serve our community, have fun with friends (and meet new people) and spread the word about Echelon. As an added bonus volunteers will receive a free lunch and t-shirt!